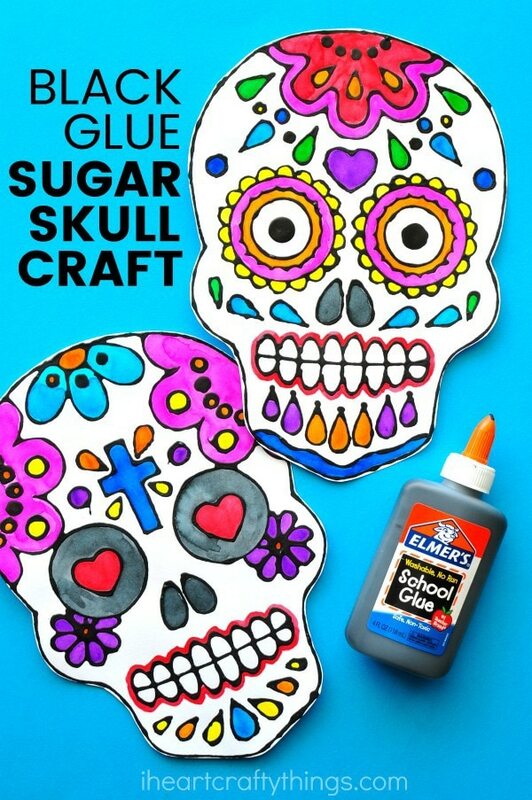 This colorful sugar skull black glue art project is great for all ages to celebrate Day of the Dead or Dia de los Muertos. 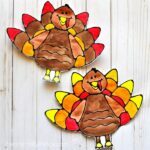 We have a few fun templates you can purchase that make prep time a breeze for this activity. 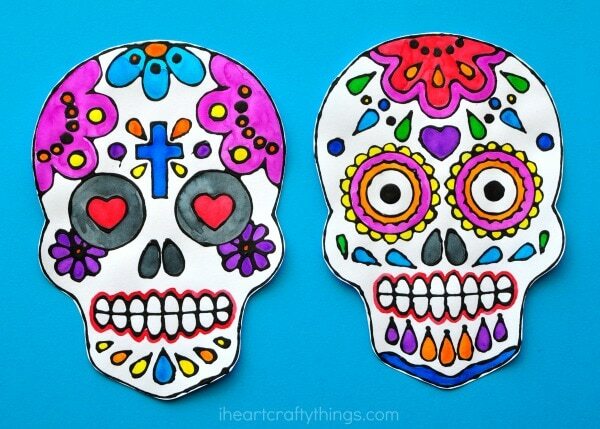 We also have some blank templates for kids and adults who might love to get artistic by creating their own sugar skull design. 1. Start by mixing together your black glue. To do this, use a bottle of Elmer’s School Glue that is about 75% full. Open the lid and squeeze in a generous amount of black acrylic paint. Put the lid back onto the school glue and then shake the bottle of glue vigorously for several minutes to incorporate as much of the black paint as possible. Then remove the lid again and stir the mixture with a skewer or stick until the black paint is combined thoroughly with the glue. 3. Before you begin tracing the sugar skull with your black glue, test out the glue first on a napkin or separate piece of paper. Create some lines to experiment with the flow and spread of glue. 4. 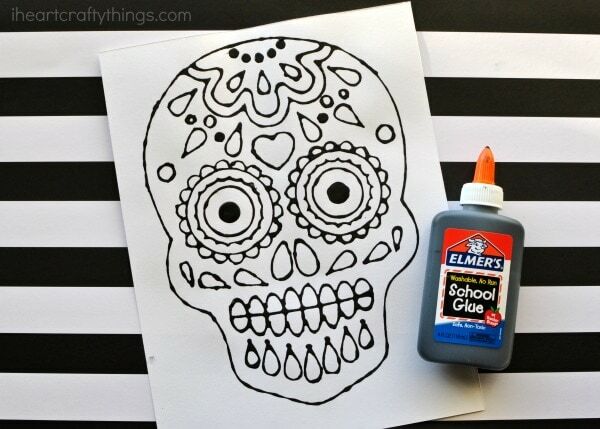 Once you are happy with the way the glue flows, use a steady hand to trace the lines of your sugar skull with your black glue. 5. Leave the black glue to dry overnight. This step is important because if you paint your picture prior to the black glue drying your watercolors will mix with the black paint. 6. Once the black glue is completely dry, paint your sugar skull with your watercolors. We love using liquid watercolors to paint our black glue art projects with since the colors are so bright and vibrant. Your Sugar Skull Black Glue Art Project is finished! 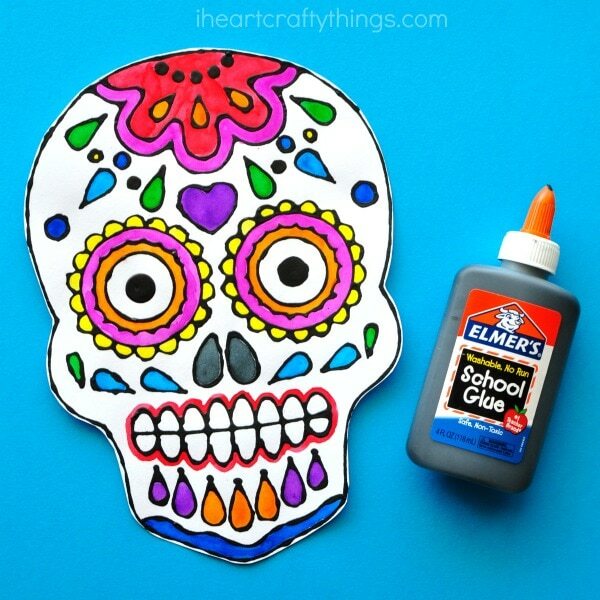 For younger children who want to make this beautiful art project, they will love creating their own design with black glue on the sugar skull using our blank skull pattern. 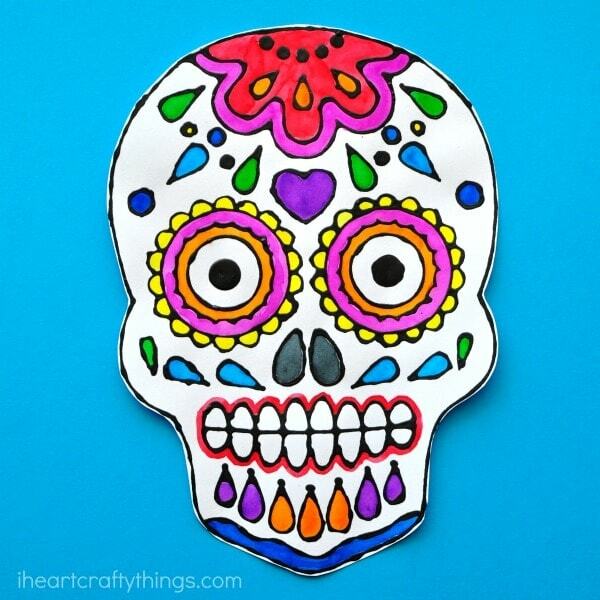 You can find one included with our sugar skull black glue art pattern in our TPT Store. 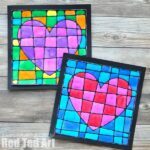 Do you love black glue art as much as I do? Check out this fun black glue galaxy craft or our black glue cactus craft. 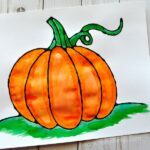 We also have a black glue pumpkin art project that is great for Halloween.